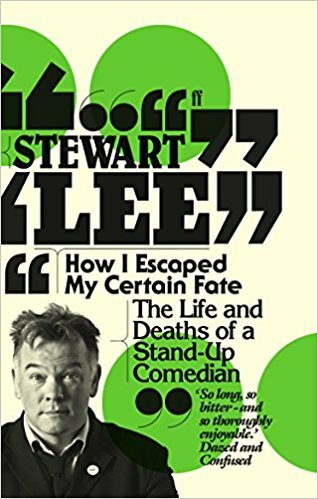 Stewart Lee's 2008 stand up comedy routine (one of three of his own shows he dissects and provides transcripts of in the book), is called "41st Best Stand Up Ever", prompted by Lee's bemusement at being placed so high in a TV all-time comedian chart. As Lee himself points out, such shows are just cheap screen time-eaters constructed of archive clips and talking heads prostituting themselves out of anything but a sacred feel for what they're intoning about. He also points out that the order of the list is shaped by the necessity of having the rude comics on after the 9pm watershed, hence inflating their position, plus the list reflects the hot current performer where there’s a fair chance they would have disappeared from sight within two years. 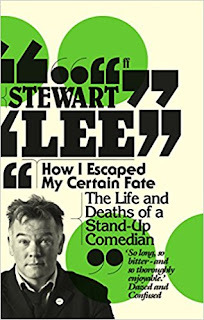 For this is what Stewart Lee, my personal Number 1 Best Stand Up Ever does; with his comedy and with this book, he deconstructs his act, comedy and himself. Now I realise many of you, especially Americans may not be familiar with Stewart Lee (even though hip literary author Jarett Kobek namechecks him frequently). Lee is very British and very niche. Half of the chapters are transcripts of three of his live acts in the Noughties. I'm already familiar with them, so they lose a bit set down on the page in terms of their entertainment. 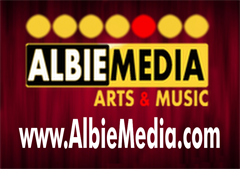 Readers can familiarise themselves with the acts as they are on YouTube, maybe before you read, or after, or even during. But this book is so much more than just reading some comedy scripts and their genesis. The book starts at Lee's disillusion with stand up during the early part of the new century. Psychologically and financially flayed raw by the furore surrounding the "Jerry Springer - The Musical" which he partly co-wrote but was fully swept up in the cries for prosecution under Britain's superannuated blasphemy laws. In one of the appendices Lee gives a trenchant critique of the art form of musical theatre, reflected in the early chapters by his own disbelief that he ended up being part responsible for possibly the most infamous one. A wounded Lee retires to lick his wounds and gradually the itch to return to stand-up flickers into life to chafe at him. But he resolves to strive for a purity of the comedy experience and the book takes off from this point. If Lee can at times make his audience uncomfortable, it is nothing that he himself isn't also feeling towards himself. We see the serendipitous events in his life that he is able to weave into thematic material. Those he tweaks for comic/artistic purposes and those he leaves untouched. One can marvel at the connections he finds to link them up. But he goes so much further. This book is a supreme study in the use of language. Lee says he tells very few jokes. 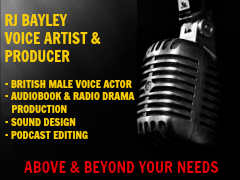 What he does is pitch a stage character to the audience. The audience are convinced the character on stage is the real Stewart lee and therein lies much of the comedy because such a character is tweaked up to ‘11’. If he existed in real life, you’d slap him constantly. For his part, the character of Stewart Lee is constantly in despair that his audience don’t share his liberal values, or recognise him for the comedy genius he is. This makes the Lee stage character furious and so ratchets up the stakes on stage. He lives dangerously, threatening to alienate his entire audience either through tedium, or more likely profound irritation at his attitude. But then he always manages to bring them back on side. He plots his routine like a musical score and everything revolves around the telling. The tension points in which he challenges the audience. The points that he lulls them in. The points when he deliberately keeps them at arms length. Then points where he flatters them, or divides them against themselves. Even the points where he is free to extemporise to overcome his confessed boredom at performing the same routine over and over again night after night. He considers and structures the minutiae of the flows in power and status relationships between his stage persona and the audience. He is plucking the stringed instrument of our emotions like a virtuoso. Every word of his routines, even to the 'ums' and 'ers' are deliberately laid down. But they look so conversational and natural that it is an art. And art is a key word in this book. Lee considers the mass commercial entertainment of any art form that is concerned with audience numbers which it then merely panders to reaffirming their preconceptions and values. And then there is awkward, challenging, subversive art that demands the audience to work. Lee is ambivalent at different times as to whether comedy is high art, but his is certainly literary; not through his references and allusions, but through his appreciation of language. The precision of words chosen, of inflections and sounds and silences (eat your heart out Harold Pinter and Samuel Beckett, who both veered into comedic territory in their stage plays). Lee also offers his seeking out of the traditional comic forms of the Bouffon in France and the shaman-clowns of Pueblo native Americans. Their concern with mocking established communal values as a way of both reaffirming them and providing the possibility of what lies beyond such conformity. Lee comes away with the notion of a sacred, ritualistic space on stage and draws a chalk circle around himself in one of his acts, as talismanic protection before the crowd. It's that attention to detail, that complete and wholesale hallowing of his craft that makes Lee top of the contemporary comedy tree. If I have a criticism, it's that he doesn't quite show us all his art. While the material is faithfully excavated for its sources, I wish he would relate the process of the writing itself. Since every word is honed, it might have been interesting to see early drafts of lines. Words rejected, or cuts made for rhythm purposes (he spends many weeks of preview shows bedding in the material, scanning for the beat in the room for a line to hit exactly the right note).. He also sells himself short I feel, by not taking us into the process by which he commits his act to memory, working out the gestures and the movements across the stage. Why do I say this? Because I’ve tried it. Postscript: I went to Lee’s last show “Content Provider” soon after the Brexit vote (which had one of the funniest anti-Brexit gags I’ve heard) and found myself losing focus. I’d been doing some song line puns on Twitter and something in Lee’s shows set this off further as I spent the rest of the gig composing lines for a putative routine. 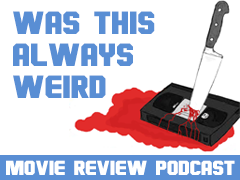 I wrote them down on the Tube back and decided I’d type them up the next day and if it still read funny, I’d go to a venue where I knew you could try out new material to a live audience. That gave me 3 days to learn my ten minute act and put into practise what I’d learned from Lee. 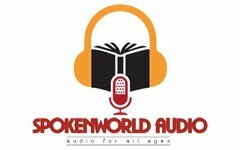 So I created the tension of a character version of me at the mic; a fifty year old Jewish guy with a paunch, looking back on his youth as a punk, the degrees of sell-out set against the ridiculous preserved idealism into middle age. (How much of the routine is true? Well that’s the tension between the two versions of the character and for you to decide). Like Lee, I plotted where I look at the audience, where to go fast, when to slow down and where to add gestures. And when I performed the act it went well, got a few congratulations from people I barely knew saying they liked the act. I videoed it at home the following day, (considerably more stop-start and requiring of do-overs without the adrenalin of being in front of a live audience) then promptly retired. I don’t do Bucket Lists as such, but I can say I’ve performed stand up comedy. And that’s thanks to Stewart Lee.